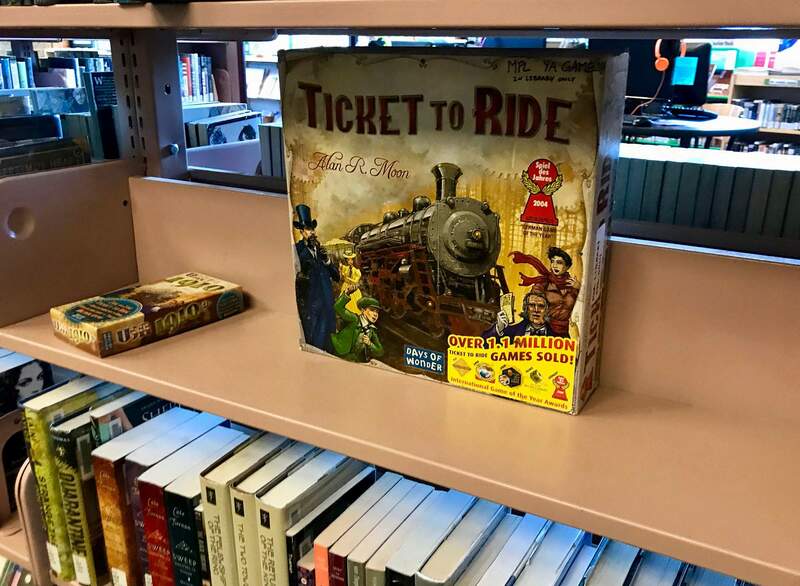 A copy of Ticket to Ride, an award-winning board game from 2004, sits on a shelf in Mancos Public Library on Oct. 24. The game publisher, Days of Wonder, also sells expansion packs for the game, including the USA 1910 expansion at left in this photo. 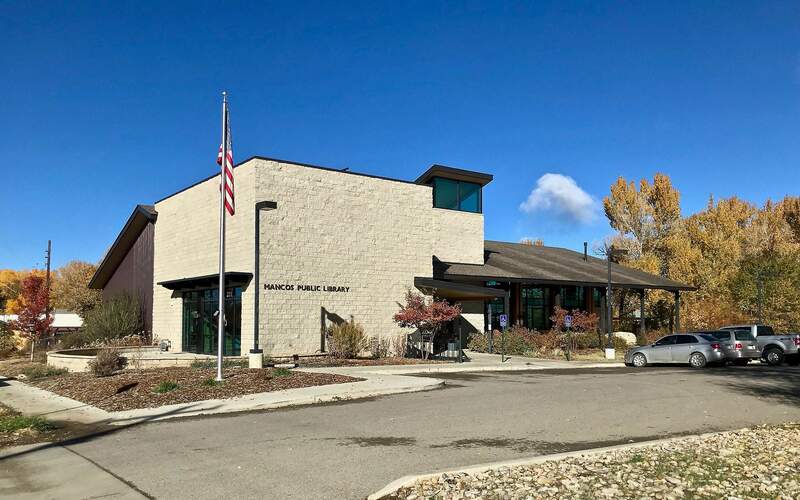 The Mancos Public Library will host a series of community gaming events at the beginning of November in celebration of International Gaming Week. The events will give local residents an opportunity to participate in anything from board games to video games to outdoors games, if weather permits. The Mancos Public Library will host a series of events in celebration of International Games Week, which runs Nov. 4 to 10, giving local residents an opportunity to bond over friendly competition and strategy. From 10 a.m. to 5 p.m. Nov. 9 and 10, the library will pull out its collection of board and video games to give families and the community at large an opportunity to play anything from outdoor chalk games (if the weather is nice) to popular board games like Pandemic. The Mancos library owns five video-gaming platforms, including retro systems such as Super NES and Xbox 360, and a large collection of board games, all of which it will make available to participants during the weekend events. Jenny Kitchen, young adult services manager at the library, says the events are among the only of their kind in the Montezuma County area. For this reason, she says the events are meant for a much larger audience than just Mancos, and that residents from Cortez to Durango are invited as well. “It’s for everyone in the southwest corner, even if you don’t live in Mancos,” Kitchen said. Events for childrenThe library is also hosting a series of events targeted to teens and youths over the coming weeks. In addition to the events next weekend, the library will also host a teen game night from 7 to 10 p.m. Nov. 6, and a youth gaming event from 4:15 to 5:15 p.m. Nov. 14. From 7 to 10 p.m. Saturday, teens are invited to the library for a night of Fortnite Battle Royale, a popular free-to-play video game available on most popular gaming platforms. Participants are invited to bring their own devices or take turns on the library gaming systems. From 4:15 to 6:15 p.m. Wednesday, the library will host a gathering for Pokemon players, giving young people an opportunity to play the popular trading card game with their own cards or decks borrowed from the library. Kitchen said this series of events highlights the breadth of resources the library offers, going far beyond book loans. The library hosts monthly game nights for both youths and children and always provides games for playing on the premises.